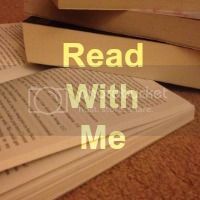 Hello there fellow book lovers, welcome to this weeks Read With Me. As much as I'm loving the Easter holidays and the sunshine that has come with it, I have to admit it's messed with my reading time. I've only managed to read 2 books since the holidays have started. I did fit in reading the book that I was kindly sent by my books swap partner Laura Summers. She sent me Bitten by Kelley Armstrong. I'll be writing a longer post about it later but I will say that I now need to read more of these books!! Thanks to all those that managed to link up last week. My favourite post was from Single Mother Ahoy. She recently reviewed Spot the Lamb on the Farm which reminded me of Where's Wally? Definitely a book I shall be getting for my girls. Onto this weeks link up. New to Read With Me? Check out what it is all about here. Regualr? Get linking, commenting and hopefully displaying my badge. I will b ready next week for a new book review!